Sunnybank Hotel, Sunnybank, Australia - Lowest Rate Guaranteed! 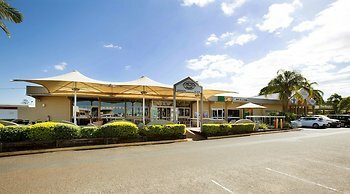 Located in Sunnybank, Sunnybank Hotel is just steps from Sunnybank Private Hospital and a 5-minute drive from Queensland Sport and Athletics Centre. This hotel is 1.9 mi (3 km) from Queen Elizabeth II Jubilee Hospital and 1.9 mi (3 km) from Griffith University. Certainly not 5 star but this was reflected in the price. Friendly, helpful staff. Logos, brands, and other trademarks featured within this site are the property of their respective trademark holders. These trademark holders are not directly affiliated with Hotelsone. ALH Group is a registered trademark.© 2001 - 2019 HotelsOne. All rights reserved.